Pixels are for computers, tablets and phones. But you design products for fingers, touch and people. If you design, specify, test or evaluate mobile handsets, tablets, kiosks, games or anything with a screen that people look at and touch, you need a Touch Template. You can change quantities in the PayPal shopping cart. Make sure your shipping address is correct or your order may not be delivered properly; we cannot take responsibility for mis-deliveries due to incorrect addresses. We do not and cannot provide tracking or delivery confirmation. It's just a piece of clear plastic, printed with guidelines based on a vast pile of actual research I've done on how people see, hold and touch their mobile phones and tablets. You need one to measure the interference between touch targets, but it also allows you to measure other visible elements, like finding out really how big the text is. You can use it to check your work to make sure you got the scaling right in your drawings, to check for device pixel scale ratio issues, and to check out the latest buzzworthy app or the competition and find out what they did right and wrong. It's the size of a credit card, so you can actually keep it in your wallet, so it's always with you. The freshly-revised fourth-generation Touch Template has added features to make it easier to use on dark interfaces. Now you can actually measure type sizes and use the rulers on your black-background app or site. If you want to, you can see the history of how it came to be, and how the design of the original Touch Template was crowdsourced. 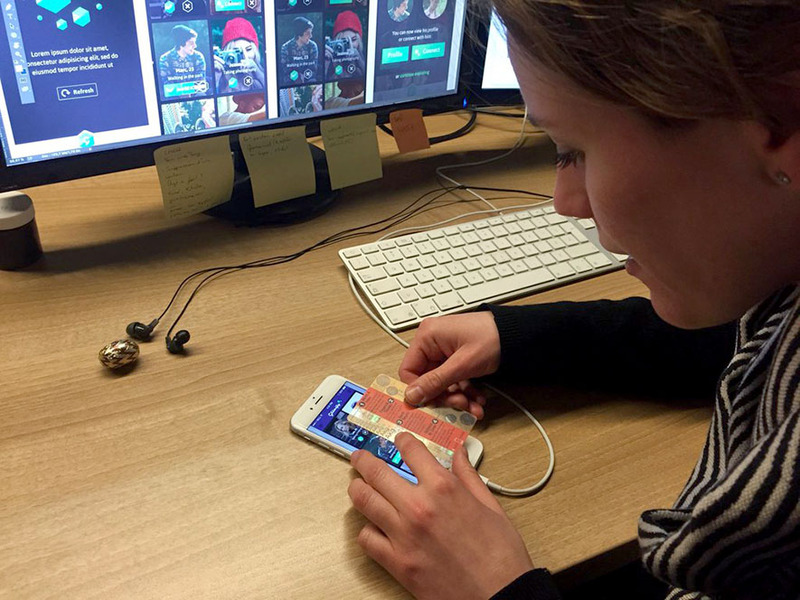 "This mobile touch template is pretty badass." "Ensure your designs are fat-finger friendly." "Coolest mobile tool I've seen in a while!" "If you design for mobile, try to design for mobile or want to design for mobile you should buy one of these." 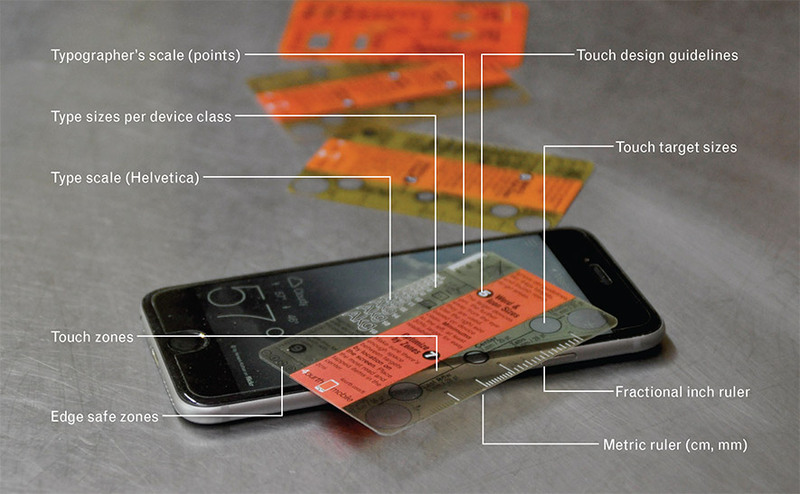 "Such a great idea => Plastic stencil to evaluate mobile touch." "Nice reminder that we build for humans, regardless of how UI pixel-focused we may get." "Please touch. Mobile UI inspection made easy." "Sh*t, this is the coolest thing I've ever seen." Your order comes with a little guide on how to use the Touch Template on the bottom of the invoice, or you can download a slightly better one and print it so it's pretty, maybe-colorful, and un-folded. 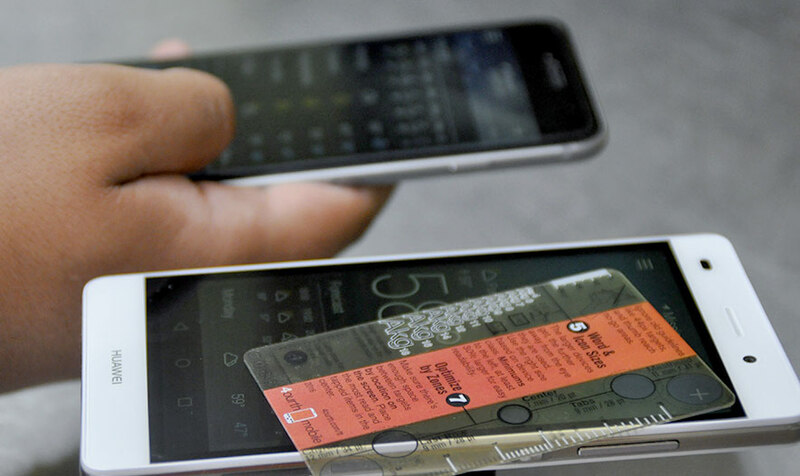 Touch Templates are only $4 — plus shipping. Want To Buy a Lot of Touch Templates? If you are buying more than about six templates contact me instead with your shipping address and the quantity. I will give you a shipping quote based on the box I have to stuff them in. Want to buy some with your branding for an event, a promotional giveaway, or because you have a simply huge team? I can do that. Minimum order will be 250, but just contact me and we'll talk about the details. I have a real job, so sometimes there are delays in shipping these while I travel for work or speaking. Sometimes, there's a run on them, so I don't have any and need to order more. More delays. To keep costs down, so I can get as many of these out there as possible, I don't make much off them. Bulk discounts are not really a thing unless you want over about 100 items.